A vast collection of nearly 3500 diecast models fetched £120,000 at west country auctioneers Piers Motley. The lifetime collection of John Kinchen had been “well known in the Dinky world for decades”. 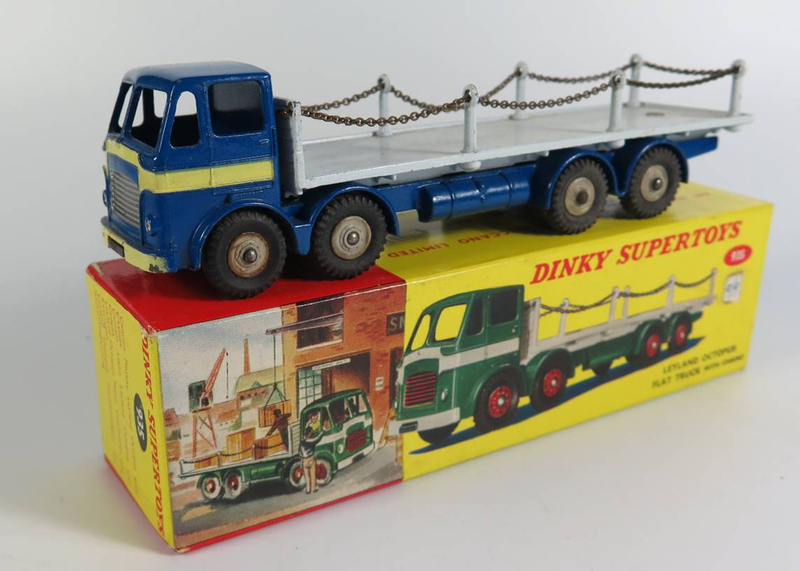 With models in the collection dating from 1937 to the early 1970s, the top lot of the Kinchen special sale was a rare blue Dinky Toys 935 Leyland Octopus Flat Truck with Chains which sold for £2300 at the June 13-14 auction. 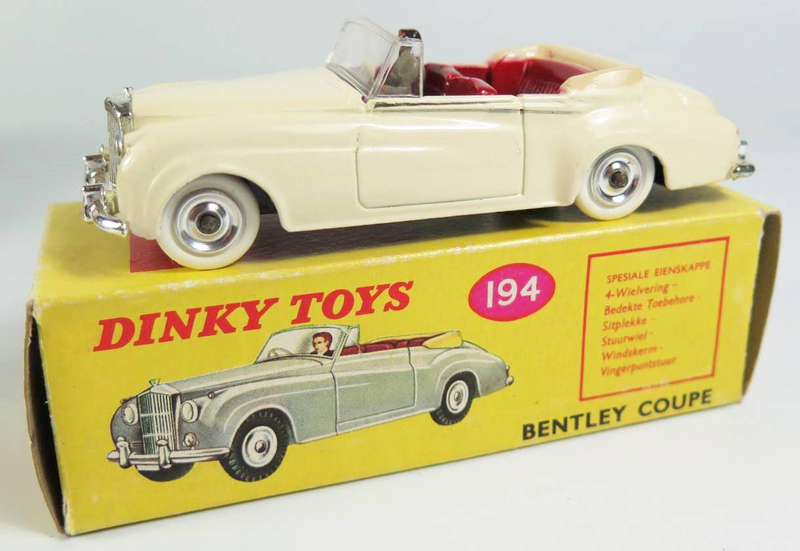 Dinky gift sets remain popular today and the boxed example in the Kinchen collection, Gift Set No 121 Goodwood Sports Cars, was knocked down for £1800. 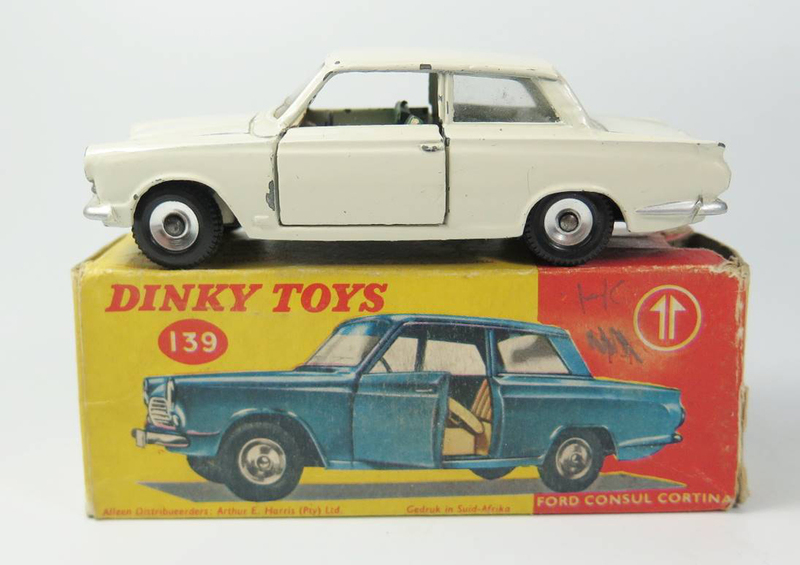 Other highlights include two rare South African issues, a Dinky 139 Ford Consul Cortina which took £800 and a cream Dinky 194 Bentley Coupe that reached £1100. 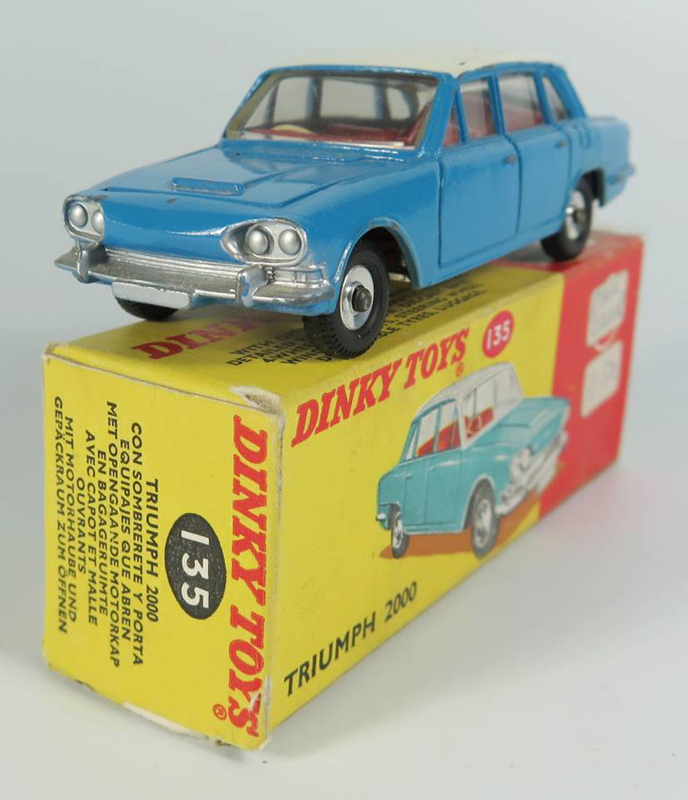 A boxed Dinky 408 Big Bedford Lorry, in pink with cream back and hubs sold for a good £1800, while a boxed Dinky 135 Triumph 2000 Saloon in blue with white roof and red interior, suitcase, handbag and spare wheel sold for £950.